The most important army-related observance in New Zealand is ANZAC Day. It is a national day of remembrance that commemorates all Australians and New Zealanders who died in service. There’s also NZ Army Day celebrated on March 25. It can be regarded as the professional holiday of all New Zealand servicemen and women. On March 25, 1845, the Legislative Council of New Zealand passed the Militia Act into law. This day is considered the birthday of the New Zealand Army, although the first regular force in the country was created only in the 1860s, following the adoption of the Colonial Defense Force Act. Since its inception, the NZ Army has participated in the New Zealand Wars, the Boer War, World War I, World War II, the Malayan Emergency, the Korean War, the Indonesian-Malaysian confrontation, the Vietnam War, the Gulf War, and several United Nations and other peacekeeping missions. As of February 2015, the NZ Army has personnel deployed in Afghanistan, Egypt, the Middle East, South Sudan, South Korea, and Antarctica. 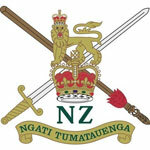 The New Zealand Army is part of the New Zealand Defense Force. It comprises around 7,000 personnel, including 4,500 regulars, 2,000 reserve and 500 civilians. All of them celebrate their professional holiday on March 25.